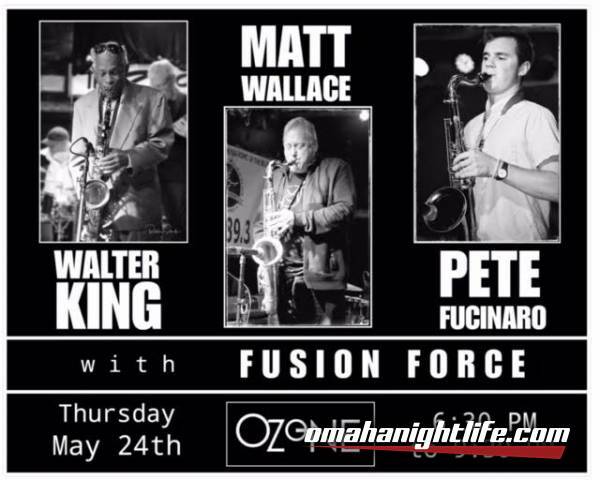 In May 1987, he was playing with his band Fusion Force at Howard Street Tavern where he opened two shows for Jazz Hall of Fame trumpeter Maynard Ferguson. After hearing Matt play, Ferguson offered him a spot in the band. With Maynard, Matt traveled to 70 countries, made 10 records and appeared on television and radio programs between 1987 and 2002. Matt has performed with Delbert McClinton, Matt "Guitar" Murphy, Chick Corea, Herbie Hancock, 10,000 Maniacs, Greg Allman, Paul Shaffer, Joe Piscopo,and for the late King of Thailand, His Majesty, Bhumibol Adulyadej. Currently, Matt performs in the Omaha area with several bands including Finest Hour, Fusion Force, Cuban Missile Crisis, Gooch's Big Band, Brian England Groove Persrciption, and the Countryside Jazz Band. He also tours with the Hegg Brothers each Christmas as part of the Holiday Jam ensemble. Most recently Matt was nominated for Best Jazz Performer at the 2018 Omaha Entertainment and Arts Awards. Matt is available to perform for your event as a soloist, duo, trio or with one of his bands. He can put together the perfect combination of musicians for your needs. With over 40 years in the music business, Matt has the experience and connections to bring top-notch professional talent to any venue.